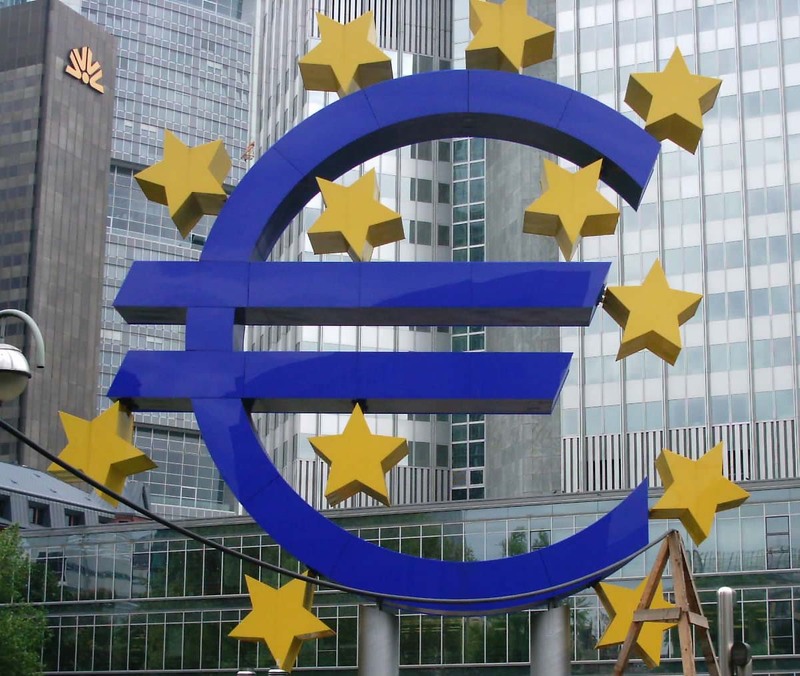 On July 26, President Mario Draghi stated that the European Bank would ‘do everything necessary to preserve the Euro’. The proposed scheme, which would be pursued in conjunction with the governments of the euro area, has two components: on the one hand, the ECB would boost its purchases on the secondary market of the sovereign debt of countries in difficulty, a policy described as “unconventional” under the provisions of the Maastricht Treaty. On the other hand, the European Financial Stability Fund (EFSF) and its successor, the European Stability Mechanism (ESM) would directly buy sovereign debt securities on the primary market. The height of ‘non-conventionality’, these relief funds could be given a banking license and benefit from unlimited funds from the ECB. This would allow the ECB to finance struggling governments, which is contrary to EU treaties. We will consider Mario Draghi’s statement and see what would be the consequences in the short and medium term. We will also examine whether the ECB really means to save the single currency. Assuming that the ECB can either throw its status to the winds or find a legal compromise to repurchase massive sovereign debt of countries in difficulty, what would happen? We must first assess the amount that the ECB should pay. 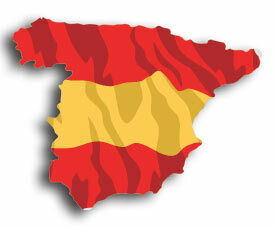 In Spain, the government of Mariano Rajoy has acknowledged that it needs an estimated 300 billion euros by the end of 2012. What is done for this country cannot be denied to the others. Greece would certainly want an estimated 60-80 billion euros. 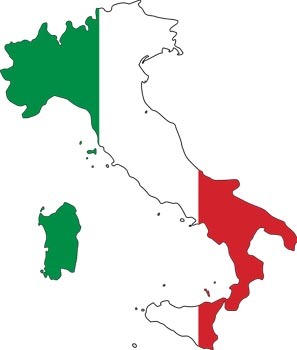 Italy is also a potential “client”, with requirements of between €500 and 700 billion. That’s 860 to 1,080 billion euros of sovereign debt that the ECB would have to buy in a relatively short time (less than 6 months). The impact on the balance sheet of the ECB would be considerable: €1071 (860 + 211 already on the balance sheet) and €1,291 (1 080 + 211 already on the balance sheet) billion of government securities. Presumably between a third and half of these debts will never be repaid amid defaults, whether uncontrolled or planned. The ECB would have to accept that it is creating money out of nothing or it will have to ask eurozone governments to recapitalize by between 330 and 650 billion euros. The problem with money creation ex nihilo is not, as it often cited, inflation, but legal, the compatibility of the functioning of the ECB with the German Constitution. The latter prohibits the Central Bank, the Bundesbank, to make this kind of money creation. So we would therefore need either to change the German constitution – which raises political problems and may fail – or to solve the problem through recapitalization. What about the political acceptability of this expenditure by governments? 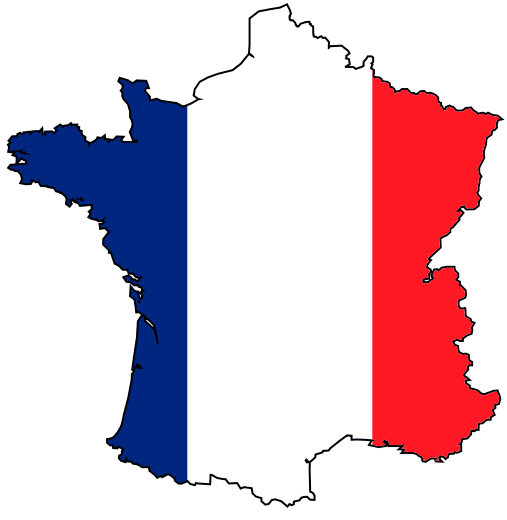 In the case of France, the contribution could be between 70 and 140 billion euros. (C) Liquidity crisis or crisis of competitiveness? It is often argued that such intervention would solve the euro crisis. But the liquidity crisis stems from the crisis of competitiveness. It is the latter that triggers the concerns that lead to rising interest rates and the liquidity crisis. Here, however, the ECB is powerless. The permanence of the crisis of competitiveness inevitably causes the reappearance of the liquidity crisis. Moreover, since the ECB has conducted the first redemption of debt on the secondary market, none of the countries that have benefited from these operations have returned to the financial markets. It must therefore be accepted that, Greece, Portugal, Ireland, Spain and perhaps Italy have permanent recourse to the financing capacity of the ECB. The amounts in the medium term would be even more significant than those mentioned above, and could reach between 2,000 and 2,500 billion euros. More profoundly, the hypothetical ECB policy that we imagine here illustrates a major diagnostic error about the crisis in the euro area. This crisis is not a crisis of sovereign debt! It is a crisis of competitiveness related to heterogeneous economic and demographic structures of the eurozone countries, and exacerbated by the daily functioning of the single currency. It causes very slow growth in some countries (Italy, Portugal and, to a lesser extent, France) and accelerated de-industrialization in other countries (Ireland, Portugal, Spain, Greece and even France). With the bursting of the ‘bubble’ of historically low interest rates prevailing from 2002 to 2008, these two phenomena have resulted in a rise in sovereign debt in the countries concerned. In a bid to solve the symptom – the debt crisis – we do worse evil! Policies required to try to resolve the crisis worsen the situation: they plunge countries into a recession – or even depression – that in turn reduces tax revenues and significantly increases unemployment. If we want to tackle the root of the problem, namely the crisis of competitiveness, it is necessary to measure the significance for the countries concerned and the transfer costs. Implementing an ‘unconventional’ ECB policy is possible. But it involves a qualitative shift whose consequences have not been calculated and which will not provide a solution to the crisis in the euro area. The only perspective offered is that of extending this crisis over a long-term period. The ECB does not have the power to solve the euro crisis. Even actions together with the Member States offer little solution. Either Europe will explode after a ‘lost decade’, like that of the Great Depression, or the euro zone will be dissolved. The crisis of competitiveness is reflected in the deficit of trade balances of Eurozone countries (except Germany) and Germany’s swelling TARGET-2 (trade) balance. Policies cutting labour costs have already been implemented in countries of the euro area (Greece, Ireland, Portugal, Spain, Italy), with catastrophic consequences. The violent contraction of domestic demand not only causes a sharp increase in unemployment, but, in addition, a decrease in productivity. Every fresh adjustment measure increases unemployment yet further. Within two years, the direct and indirect impact of policies will drive up unemployment to 52% in Greece, 35% in Portugal, 32% in Spain, 22 % to 25% in France and Italy. These levels are in line with those during the ‘Great Depression’ of the 1930s. Another solution, consistent with the single currency would establish remittance flows from surplus countries to deficit countries. But the amounts involved are enormous. They can be estimated at 10.8% of gross domestic product (GDP) of Spain, for support to Spain, 13.1% of GDP in Italy to support Italy, 12.3% of Portugal’s GDP to support Portugal, 6.1% of GDP in Greece to support Greece. Given the level of labour costs, the structure and amount of profits, wages and the weight of the structure of GDP, this policy will cost Germany 12.7% of GDP (2012) in fiscal transfers towards these four countries in difficulty. Such amounts would gut the German economy and are obviously politically impossible. It should be noted here that a dissolution of the euro area, accompanied by devaluations in different countries, will only cost 2% to 2.5% of GDP in Germany. It is therefore not surprising that a majority of Germans today are against the single currency (51% against and 29%). The political opposition in Berlin to measures that transfer money to other Eurozone countries is therefore likely to harden in the coming weeks. (C) The return of the Great Depression? The European Union will not withstand the consequences of this crisis. Countries will leave the euro, one after the other. The first will probably Greece. It will be followed by Portugal and Spain. Indeed, the ‘unconventional’ measures of the ECB would not restore external solvency in any of these countries. Speculation would reach new heights and the unilateral measures taken by each country (including defaults on debt) would quickly spread. Eventually, this will threaten the EU. However, if a policy of coordinated and concerted dissolution of the euro zone were adopted, it would constitute a co-ordinated European action. While making it possible for the countries concerned to make the necessary adjustments by devaluations – a much lower cost in terms of unemployment – it would save most of the EU. This approach would offer the prospect, in the medium term, to develop a more flexible form of monetary integration by a common currency. ‘Unconventional’ ECB policies, assuming they are possible, will only delay the outcome of the euro crisis by two to three years. At the end of these three years (at best …), we would be facing a crisis that would be worse than the one we have today. France would suffer a particularly sharp decline. Many economists, including two Nobel Prize winners Joseph Stiglitz and American Paul Krugman, have argued that the continuation of these policies to save the euro are criminal. Suffice it to say here that the measures envisaged by the ECB, but far from being accepted, are too late and do not solve the underlying problems in the euro zone. It makes economic and political sense not to be stubborn nor take the risk of blowing the EU apart while exacerbating the divisions between Germany and other countries. Dissolution of the euro area, implemented by the end of 2012 as an European act, is currently the only solution that can prevent a disaster. *Settlement system between European central banks that reflects trade balances between different Member States and capital movements within the Eurozone.